A guide for the month of June in Persona 5. Includes a step by step guide for each day so that players can make the most of their limited time. The first of June kicks off with the subway ride. The bulk of the activities consist of improving the Protagonist’s Social Links as he gets along with the other students while trying to survive the pressure of school during the day, the otherworldly events, and part-time during some nights. 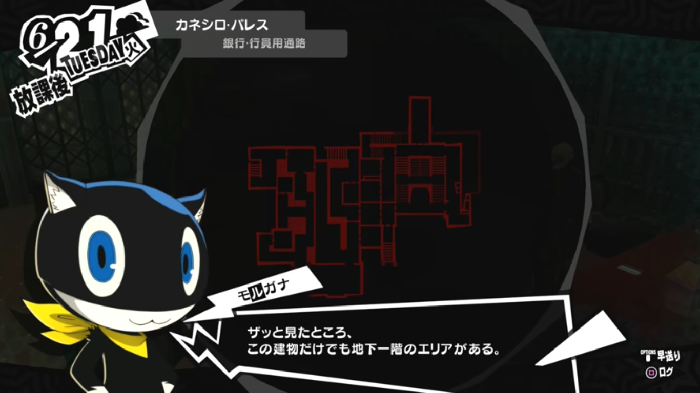 By the middle of the month, the protagonist discusses plans on how the Phantom Thieves of Hearts should face the otherworldly affairs which involve a secret stash of treasure. Before the month rolls over, there are some part-time activities needed to be done. Spend time with Yuki Mishima to trigger Temperance Confidant. Makoto Niijima awakens her Persona, Johanna. You need to stock up this plant nutrients in case you cannot go outside during night time. Spend time with Sadayo Kawakami , Temperance Confidant. I too got rank 9 for Ryuji at a time before 6/22. Is this ok? Got Ruiji rank 9 before 6/22, strictly following the guide. Checked saves and can say I had got rank 9 between 5/30-6/18. Only way I can think of is I carry a chariot persona with me whenever I hang with Ruiji, and I think that buffs the stat gain. Threw me off because there was no conversation for me with him on 6/22. Got Chariot rank 10 @ 6/25. Got Chariot to rank 10 at 6/25 as well following this guide. I have a feeling the person who wrote this walkthrough might not have had a Chariot persona with him on one of the days he talked to Ryuji and that’s why it didn’t rank up as quickly as ours did. The book referred to as “Gupper Girl” in this walkthrough is actually called “Vague” in the localized English version, a play on the name of the popular women’s magazine, Vogue. I just wanted to provide this information for the site so the author of the guide can update this information accordingly. Hi OmegaDL50! Thanks for giving us the information! We’ll be sure to add it! ??? ?